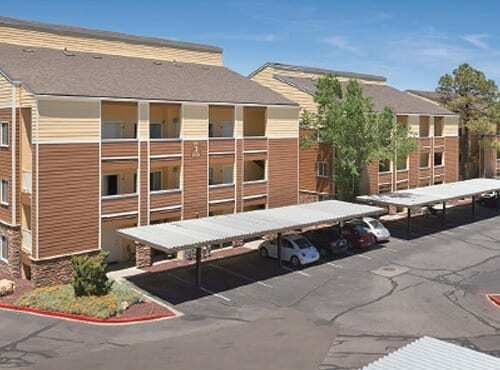 Commons at Sawmill is a garden-style student housing apartment in the heart of Flagstaff, AZ and within true walking distance to the NAU campus. Built in 1992 and extensively renovated in 2015, Commons at Sawmill is the closest privately owned student housing community to NAU. The property occupies 392 residents and 194 units. 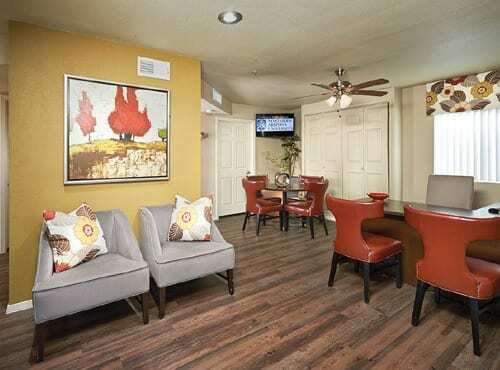 Commons at Sawmill is a garden-style student housing apartment in the heart of Flagstaff, AZ and within true walking distance to the NAU campus. Built in 1992 and extensively renovated in 2015, Commons at Sawmill is the closest privately owned student housing community to NAU. The property occupies 392 residents and 194 units. 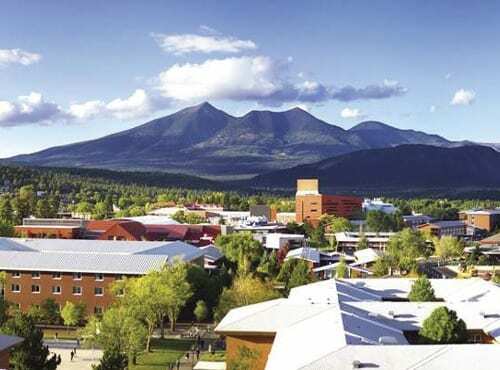 Currently, 71% of NAU’s 27,390 students live off-campus. 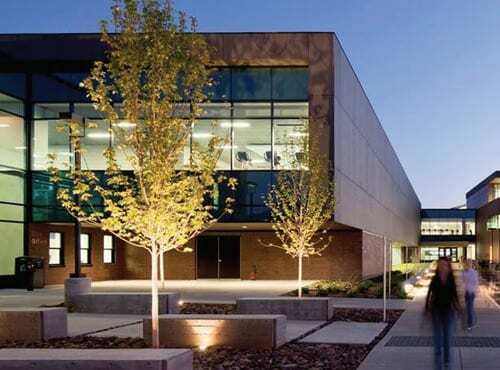 NAU recently received approval from the Arizona Board of Regents to increase enrollment to 34,909 students by 2025. Nelson Brothers believes the key to past and future stability of Commons at Sawmill can be tied to the property’s location; less than a block from campus. As the closest private housing community to campus, Nelson Brothers feels the property has a sustainable advantage that can help keep the property well-occupied, in high demand and well-positioned to capitalize on continued enrollment growth at NAU. 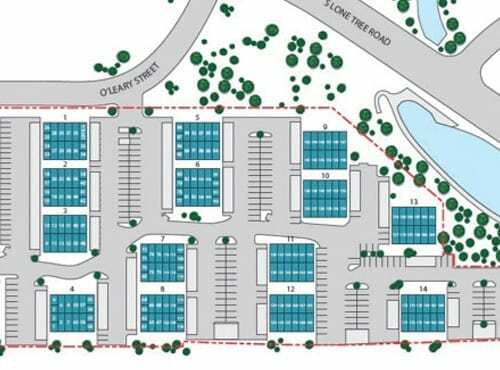 Also, due to the scarcity of develop-able near campus (there is a large cemetery between the North campus and Commons at Sawmill) Nelson Brothers believes the location allows us to potentially grow rents at a faster pace through planned renovations. The growth strategy is three-fold. Further optimize and benefit from the new renovations completed in 2015 and the continued growth in demand for student housing. 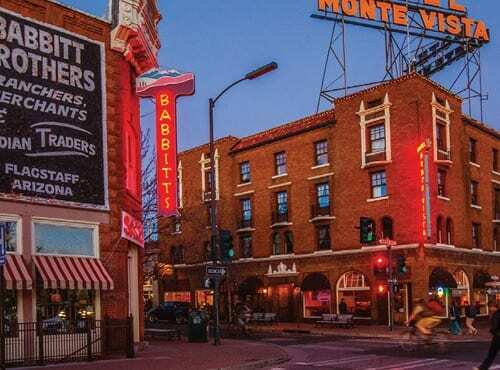 Nelson Brothers believes many of these renovations were added following the prime leasing period and see a potential opportunity to raise rents, just with the existing infrastructure. Second, there is wide open space in the center of the site. Nelson Brothers expects the city to approve an all-new residential clubhouse. The goals would be to construct a state-of-the-art, bestin- market clubhouse complete with large Flat screen TVs, Xbox, pool table, modern lounging space, hot tub and leasing office. Further, Nelson Brothers is looking to add new townhome style units in the second and third stories above the new clubhouse. Third, Nelson Brothers plans to re-purpose the current leasing office and clubhouse into revenue producing units. In total, the current goal is to potentially add up to 30 new beds with 10 new units. Overall, Nelson Brothers is aiming to add close to $500,000 in new revenue. Nelson Brothers believes that students will pursue degrees from major universities regardless of the economic climate. The company’s strategy is based upon that belief and contends that wellpositioned properties can stay well-occupied and profitable even during an economic downturn. For investors, the target of this strategy is to help provide stable cash flow and diversification to assets that may be less correlated to the economy.